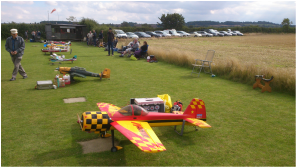 We are a small and friendly club sited to the south of Lincoln near the village of Welbourn. We are a BMFA club-No-2460. In 2018 we are looking for new members, the more the merrier! If you are interested please give us a call or email. Come and have ago we can arrange for a trail lesson to see if it's for you. Training is avalible for both fixed wing and helicopters.